Members of the European Parliament will urge Dutch Prime Minister Mark Rutte to take a clear stance against a website inviting Dutch citizens to post complaints about central and eastern Europeans living in the Netherlands. The website is backed by Geert Wilder’s right-wing Party for Freedom (PVV). The portal compiles anonymous complaints about immigrants from the east, mainly Poles, Romanians and Bulgarians. The website argues that since free movement of workers between the Netherlands and eight countries in Central and Eastern Europe was implemented in May 2007, many problems associated with the massive arrival of workers, especially from Poland, materialized. “Do you have problems with people from Central and Eastern Europe? Have you lost your job to a Pole, Bulgarian, Romanian or other Eastern European? We want to know,” reads a statement on the website. The site has reportedly already generated over 40,000 responses. “We are worried that the Party for Freedom’s portal will set a strong precedent for similar undertakings and will encourage intolerance among citizens of Europe,” the EU parliamentarians said on Tuesday. Poland’s Ombudsman Irena Lipowicz has already sent a letter voicing “deep concern” over the matter to the head of the Dutch Equal Treatment Commission Laurien Koster. 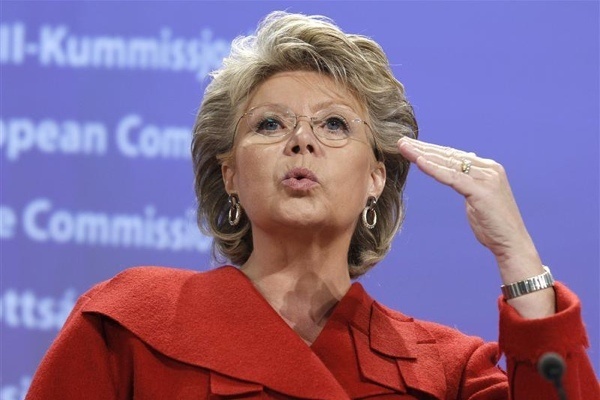 Justice Commissioner Viviane Reding, meanwhile, has warned that incitement to xenophobia was an offense, and asked Dutch authorities to investigate whether the website broke Dutch or EU law. Guy Vehofstadt, leader of the liberal ALDE group, said yesterday (13 March) that the recent verbal attacks by French President Nicolas Sarkozy on immigrants and the Schengen agreement were worse than the silence of the Dutch government over the discriminatory website of the Dutch Freedom party (PVV). 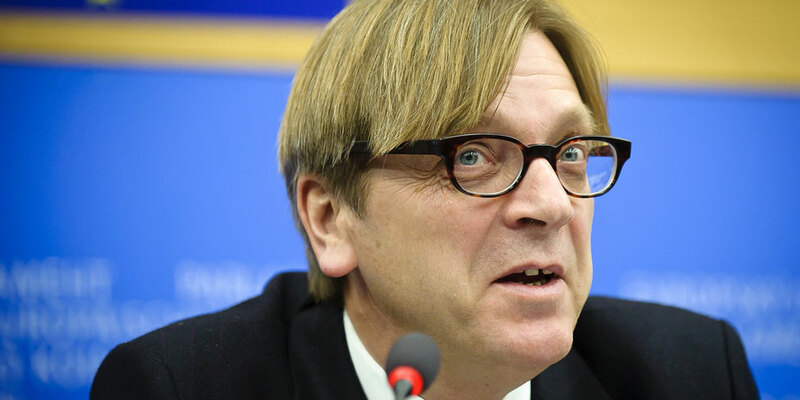 Speaking in the European Parliament during a debate on the PVV website, Verhofstadt called on all parties in the Dutch government to distance themselves from the site’s content and to condemn the attempt to incite intolerance and hatred against fellow Europeans. Marine Le Len, leader of the National Front, is assured a place on the ballot on the 22 April first-round election in France. Yesterday, Le Pen announced she had collected the 500 signatures from elected officials required under the constitution to appear on the ballot. Largely because of the lack of signatures, Le Pen’s campaign had not really started. Joseph Daul, the French leader of the centre-right EPP group who sat next to Verhofstadt during his speech, appeared visibly uneasy. As leader of the major group in the European Parliament, Daul had started the debate over the PVV website with strong statements against the passivity of the Dutch authorities to allow such a site to instigate hatred and make immigrants vulnerable. “May I remind you that Nicolas Sarkozy has not included the National Front in his government,” Daul said. The Socialist and the Green groups strongly attacked Rutte and condemned the xenophobic website, but refrained from attacks against the French president. Many of the speakers during the debate were from the Netherlands. Among them was Green MEP Marije Cornelissen, who accused the Dutch government of “stoking up bad blood and bad feeling”, such as blocking the accession of Bulgaria and Romania to the free-movement Schengen zone. Rutte is the only EU leader opposing Bulgaria and Romania’s accession to Schengen, on the grounds that these countries cannot be trusted to keep the EU common borders because of corruption. But a more important reason appears to be that Rutte has committed to PVV to uphold the veto. Denmark’s EU Minister Nicolai Wammen, representing the rotating EU presidency, commented that “freedom of speech doesn’t mean the freedom to say anything about anyone”. A resolution, to be voted today, makes an “urgent appeal to Dutch Prime Minister Mark Rutte to distance himself from the deplorable website”. MEPs contend that the PVV website contravenes the European Convention on Human Rights and breaches personal data protection rules. MEP Auke Zijlstra from the PVV party accused the “Brussels elite” of “importing criminality from Eastern Europe”, through the EU’s principle of the free movement of people. GUE/NGL MEP Marie-Christine Vergiat criticised the Commission’s failure to defend fundamental European values today in the European Parliament. “The Danish presidency and the Commission have condemned this move, but continue to refer to the member states and their courts. I thought the Commission was the guardian of the treaties, that freedom of movement and non-discrimination was one of the values of the European Union. I see that some values are more important than others.”On economic matters, when it comes to free movement … goods or capital, barriers to competition, the Commission is quick to condemn. Why do you think people doubt the true values of the EU?” she asked representatives of the Council and Commission.